Didn't he say something about MM making the most within idols? Yes, he said they are the ones that make more money among idol groups, and also that they were among the best paid acts in general. Of course, Miki denied it saying MM members don't make as much as people think. My guess is that they make a lot, but probably a lot of it goes towards paying off things like rent (which is supposedly hella expensive in Tokyo), assistants and other staff, transportation, not to mention the monster taxes that they have to pay. It's probably a case of Gross earnings being a lot, but the Net earnings (i.e. what the girls actually pocket themselves) being less than what people would think. ^Actually, if you take a good look at the clothing they wear...its plain to see that they get paid a good amount of cash. The salary list just adds to the fact. But yeah, I bet they do get billed for company support like management and transportation. How come Gocchin doesn't get even half of Ayaya's? Plus Aya has her own tv shows. It is now official, DokiMiki ends. And so the penalty for her incident starts. Look for her to do damn near nothing once gam is over. reshoot photos, videos, and music. OK a friend of mine is getting seriously paranoid that Koharu is in or going to be in deep doo-doo and that this might prompt her to leave Musume and Company. I haven't heard of such a thing and assume that any dirt would be discussed in this thread. 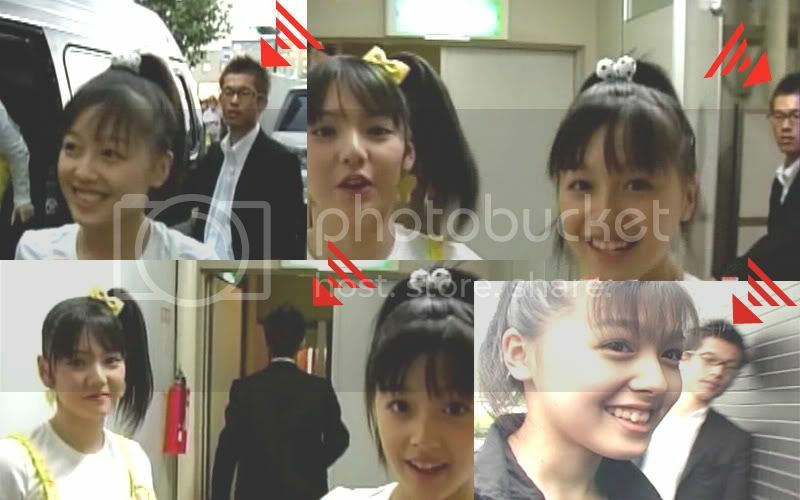 But there's NOTHING that has surfaced about Koharu, right? Am I missing something here? Did I miss my issue of "Secret H!P Scandal Weekly" magazine? I dunno, he's pretty serious but there are rumors swirling about H!P ALL THE TIME, unsubstantiated or otherwise. I'm sure this one involving Koharu would have settled around here. I was just curious to see if anyone smelled something foul downwind. saw this on an uploader, is it a boyfriend rumour? I know there's rumors that include H!P but was there was one specifically about Kusumi? or does your friend just have that gut feeling? and that picture above, I remember that footage, that guy was just like..was it bodyguard? definitely not b/f. Something about Koharu and a hidden camera. He wouldn't go into specifics so I can't/won't get bogged down unless I get references.